Drilling borings with air is a rotary method using compressed air as the circulation medium. The drill bit grinds away the formation and the air removes the drill cuttings from the boring. There are many types of air rotary drilling, reverse air drilling and direct air drilling being the most common with many variations of each. 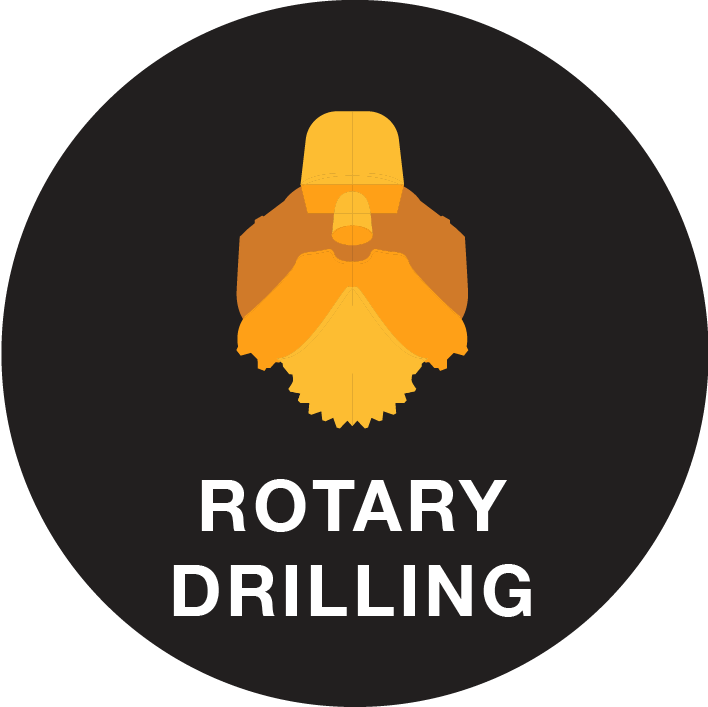 The direct air rotary that Talon/LPE utilizes, sends the air down the center of the drill pipe and out ports in the drill bit and forces the cuttings up the annular space (space between borehole wall and drill pipe). Drilling borings with “mud” is a rotary method using pumped water and/or additives as the circulation medium. The drill bit grinds away the formation and the mud removes the drill cuttings from the boring. The cuttings are separated at the surface from the mud and the mud is recirculated back down into the boring. There are many types of mud rotary drilling techniques, reverse mud drilling and direct mud drilling being the most common with many variations of each. Talon/LPE utilizes direct mud rotary drilling. This technique sends the mud down the center of the drill pipe and out ports in the drill bit forcing the cuttings up the annular space between the borehole wall and the drill pipe. Drilling with augers is a rotary method using mechanical means to create a boring. As the drill bit grinds away the formation, the cuttings travel up the spiraled wings of the auger and are removed from the boring. This process is very similar to that of a drill bit and a hand drill. There are two types of auger drilling: hollow stem auger and solid flight auger. 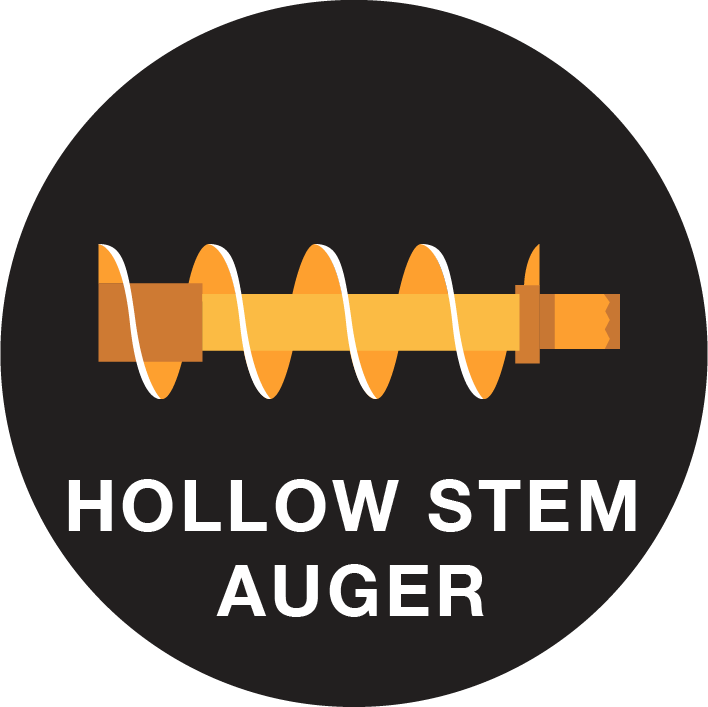 Talon/LPE utilizes hollow stem auger drilling. In this application, the augers are hollow which allows sampling through the middle of the augers while drilling. This technique also allows a well to be set inside the augers when the desired depth is obtained. 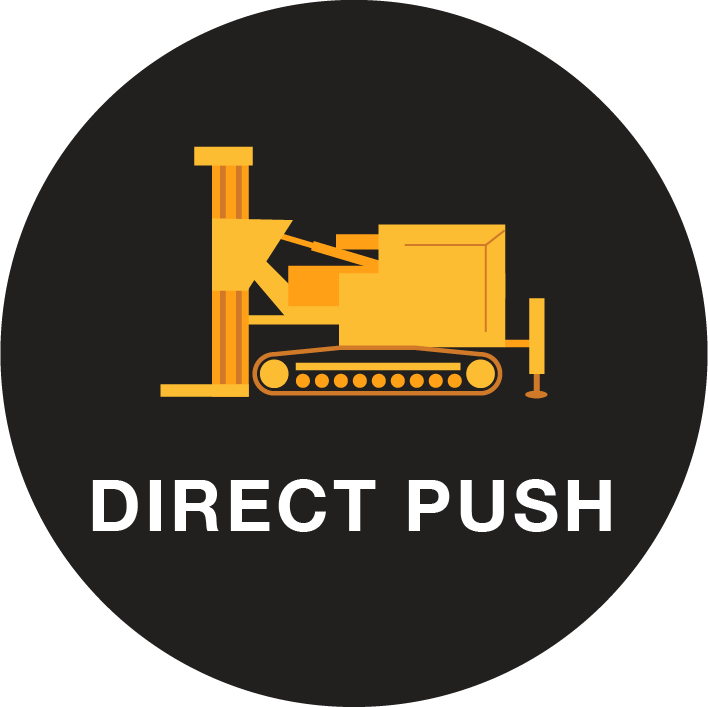 Direct push drilling is a technique where steel boring rods, coupled with percussion force and static force, are driven into the subsurface. These rods create the borings and collect soil samples. Although many manufactures create direct push machines, Talon/LPE utilizes Geoprobe manufactured machines. In order to best suit clients' needs, Talon/LPE has two of these machines attached to skid loaders and one that is truck mounted. 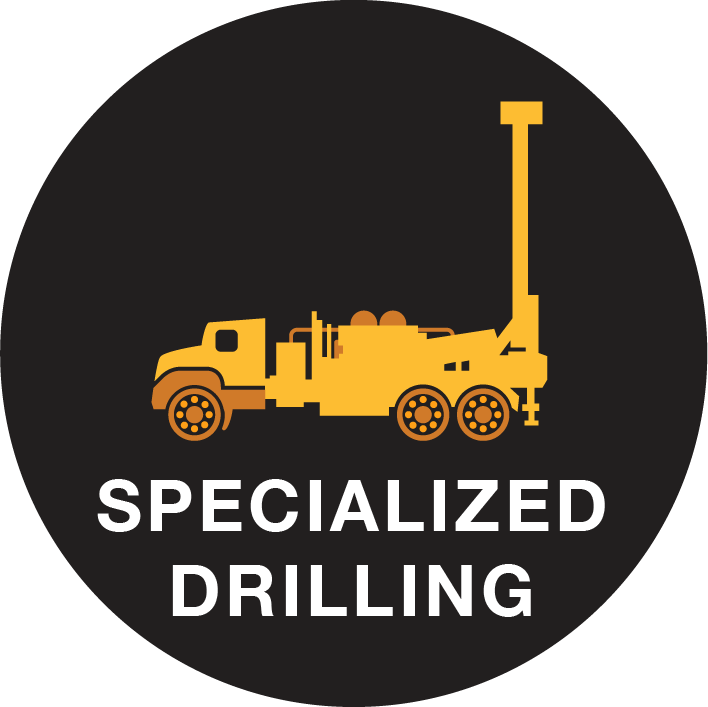 Many drill rigs that don’t employ the Geoprobe drilling machine simply won’t work in areas where the Geoprobe direct push drilling machines actually excel. The Geoprobe machine accommodates several sampling tools that can be readily attached to the boring rods in order to collect groundwater samples, soil and soil-gas samples. They are also utilized to install small diameter wells. In addition, electronic probes can be readily attached to the steel rods providing the Geoprobe drilling machine with the capability to provide in situ or in-place measurements of subsurface properties on a continuous basis. For example, contaminant distribution via a Membrane Interface Probe and geotechnical characteristicscan be obtained through penetrometer testing. 1) Environmental monitoring – When a property owner or a company needs to see if there are any problems with soil or groundwater contamination, soil borings are a good choice. An environmental consultant can take samples of the soil, groundwater, and even test the vapors of the soil to determine if contaminants are present. They can test these samples pulled from different layers for contaminant levels. 2) Geological exploration – When trying to assess an area for natural resources, companies and private entities need to know what sort of geological formations lay beneath the ground. Soil boring installations allow them to take samples from different places to get a solid picture of what is going on with the subsurface geology. 3) Geotechnical investigation – Massive earthworks and buildings both need solid geological formations beneath to have a solid foundation. Taking samples from the ground can bring any problems to light. These soil borings are also a good idea for investigating problems with foundations before attempting any repairs. Sometimes there is a legal reason for doing an investigation and in other cases it is the smartest thing to do for business and safety. When it comes to environmental drilling, monitoring groundwater is critical for determining if contamination has occurred or for measuring groundwater levels in a certain area. It is necessary for both business concerns as well as public health reasons. This type of monitoring is done for private, government, and industrial entities. Monitoring well installations need to be installed by professionals to meet legal and regulatory standards. There are three types of monitoring wells, generally, according to Talon/LPE: shallow piezometers; water-table wells; and groundwater monitoring wells. When boring the holes for the well installations, Talon/LPE’s choice of drills and rigs will depend on the subsurface formations and any contaminants in the way. 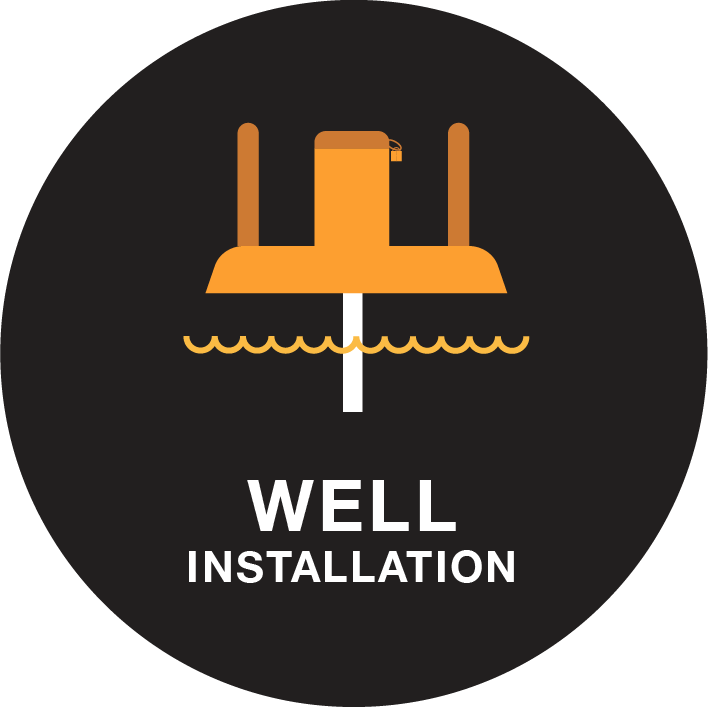 Recovery wells are used to extract contaminated groundwater and free product (phase separated on top of a given aquifer) on a long-term or short-term basis. Recovery wells vary in size from 1” to 8” depending on site conditions, depth to groundwater, subsurface lithology, and the drilling method utilized. Because every drill site is different based on lithology, surface utilization, regulatory requirements, budgets and safety concerns the installation of recovery wells may vary. The free product or dissolved product may be treated and disposed according to state and federal regulations, or, if the recovered product is a viable commodity, it can be reintroduced into the refining process. One of the biggest factors in recovery well production is choosing the proper installation procedures for subsurface lithology and type of free product that is being recovered. The proper installation includes: correct drilling method, proper installation of screen and casing, selecting the correct size screen slot, filter pack, proper development, and surface completion for site conditions. Many believe that having the largest screen and filter pack available will increase production. This is not the case. As drilling techniques become more advanced and efficient, the methods of waste management have improved as well. While pits and landfills are still being used, new methods of closed containment systems are becoming more common. With ever-increasing regulations concerning the disposal of drilling waste, the oil and gas industry has taken a proactive role in developing drilling fluid and waste management methods. The proper drilling waste containment methods, combined with drilling advances, allow environmental drilling companies to get maximum production while having the minimum environmental impact. Talon/LPE’s No. 1 priority is safety, and we always follow safety guidelines and legal requirements. Oil wells, gas wells, water wells, monitoring wells – there are literally hundreds of thousands of wells scattered over Texas, Oklahoma, New Mexico, Kansas and Colorado. When drilled, all the wells had a purpose. Today, some are still active. The majority, however, are inactive and often abandoned. They can be found in the middle of nowhere or in someone’s backyard. Though many believe that filling in the hole with dirt is enough, that is false. When you drill through formations below, the dirt does not hold, as it is typically unconsolidated material. That can open up the potential for contamination. With that said, properly plugging a well at an environmental drilling site is imperative. 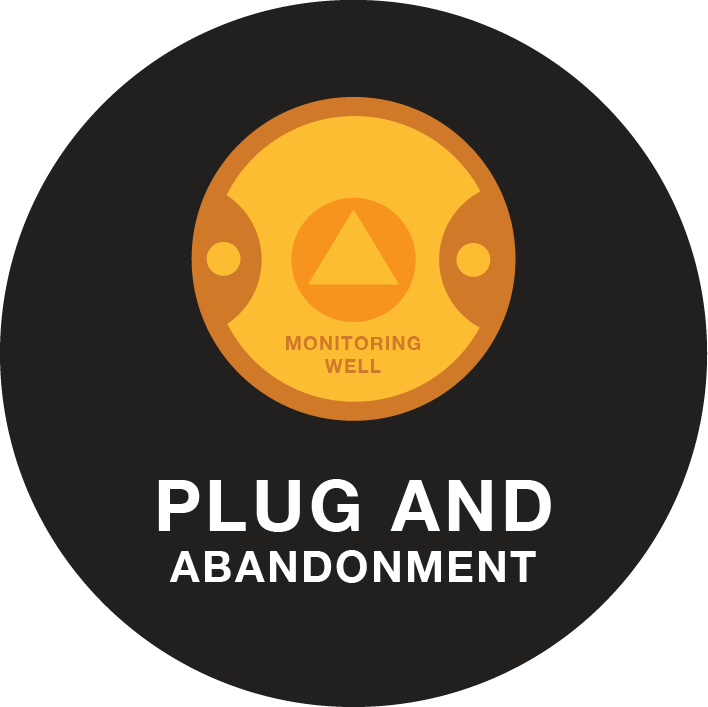 Talon/LPE has plugged more than 10,000 wells and has the expertise to help you with any of your plugging needs. 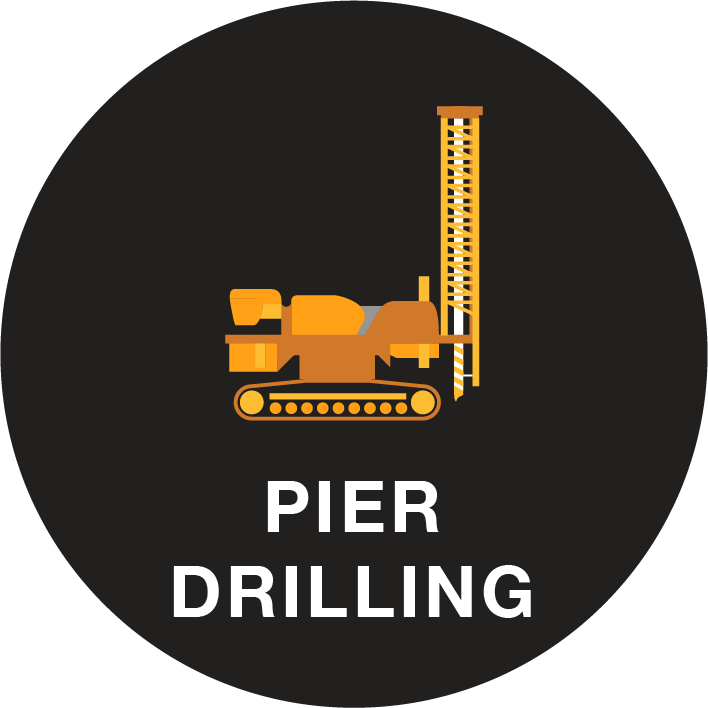 A Drilled Pier is a deep foundation that is constructed by placing reinforced concrete into a drilled hole. Structures can be supported by a variety of foundations. The selection of the foundation system is generally based upon several factors, such as loads to be imposed, site subsurface materials, special project needs (high lateral capacity, etc.) and cost. Drilled piers (also called caissons, drilled shafts or bored piles) have proven to be a cost effective, excellent performing, deep foundation system, that is utilized world-wide.Typically drilled piers are used for bridges and large structures, where large loads and lateral resistance are major factors. We can install drilled piers in a timely cost-effective way.